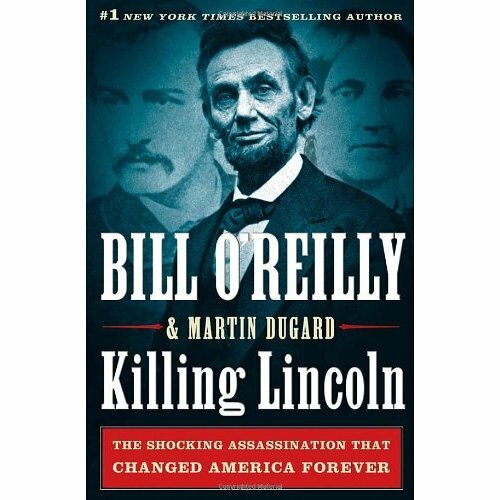 I just finished reading Killing Lincoln by Bill O’Reilly and Martin Dugard. I ordinarily would never have sought out a book by Bill O’Reilly. He’s about 1% common sense surrounded by 99% hot air. This book was recommended to me by my in-laws who insist that he leaves current politics out of it. So how does a history book by a political talking head stand up? Surprisingly it was pretty good. The book covers the last few weeks of the Civil War and Robert E. Lee’s surrender as well as the political climate around Washington immediately after. I’ve never been much of a Civil War buff because I found it all very boring but the writing style in Killing Lincoln was engaging and it was well paced. I’d never really known how close the final battles of the war really were and how close John Wilkes Booth was to escape. I didn’t know anything about JWB going in other than he was an actor who shot the President. I didn’t know he was fairly famous and came from a family of famous actors. I’d say the modern day analogy would be if Charlie Sheen was an assassin. The assassination plot was both bigger and more hair brained than I’d ever learned in junior high or high school (I forget when that was covered). This book was really well researched and a quick read. Thankfully O’Reilly didn’t try to moralize at the end or make some spurious connection to the current recession or anything. You have any curiosity at all. There is a lot to learn about the Lincoln assassination. What most people know is the gist: Lee surrenders to Grant, shortly after Booth shoots Lincoln and breaks his leg getting away. You don’t mind being called an ignoramus. There’s really not any reason not to and you feel smart for reading it.